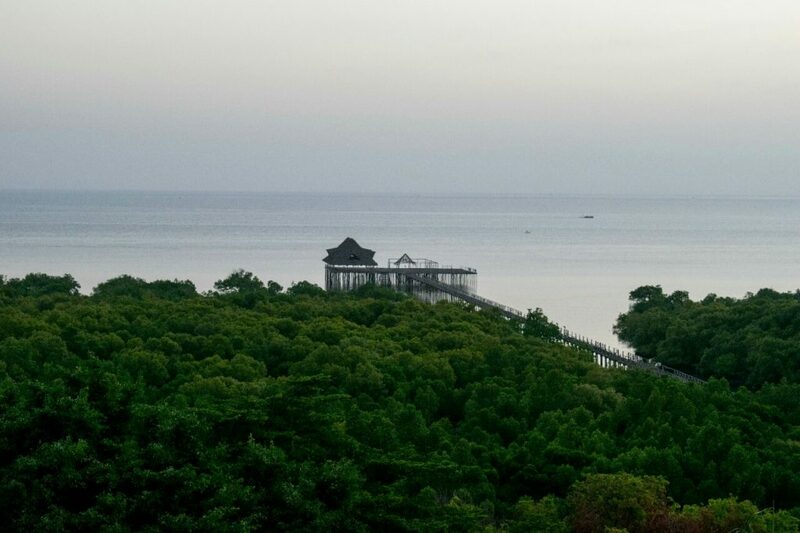 Tanga Beach Resort and Spa is a luxury resort located in Tanga, Tanzania.Tanga is located in the Northern region of Tanzania and near the border of Kenya and Tanzania. 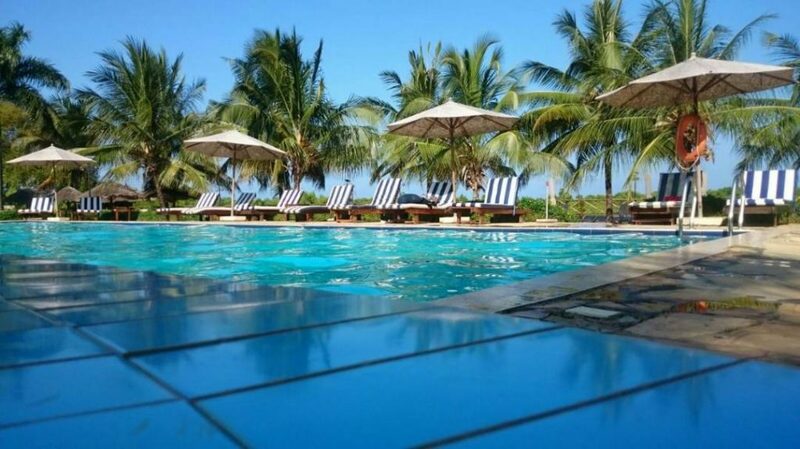 It is one of the largest cities in the country and is located along the Indian Ocean.The resort has been in operation since 2009 and they do not take the title “Luxury Resort” lightly. Luxury is replicated everywhere from the accommodation, to the customer service to the facilities. During my whole stay, I felt pampered, I felt appreciated, I felt spoilt, I felt luxurious. First up, the suites/ rooms get a thumbs up, as they showcase why they are a luxury resort. First, they have not compromised on space, thus ensuring that all their guests, regardless of room type, have adequate space and extra. 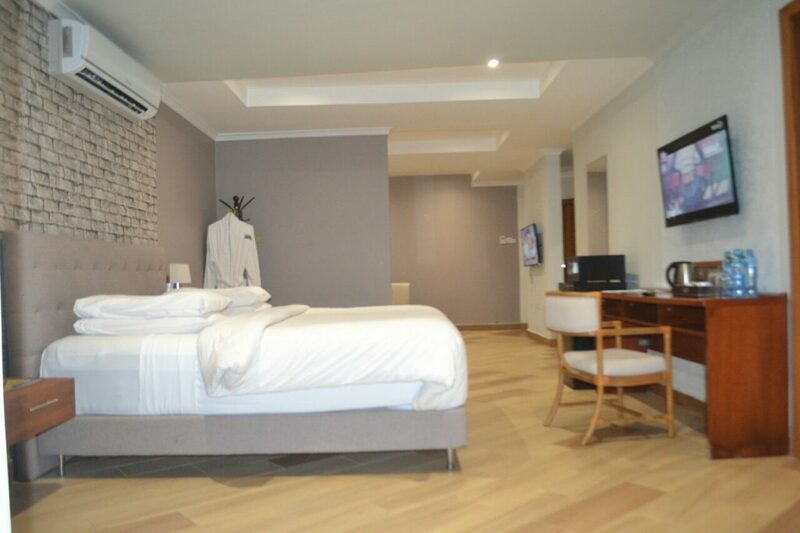 They have four room clusters which in order of superiority are, Presidential Suite, Executive Suite, Junior Suite and Deluxe room. I was in a Junior Suite, which felt more like a beautiful, luxurious, fully furnished, one bedroom home. Once I had opened my room with the key card and placed it within the slot inside, my room came to life and I was left in awe. I will start off with the “bedchamber quarters”, as calling it “bedroom” would not be doing it justice. 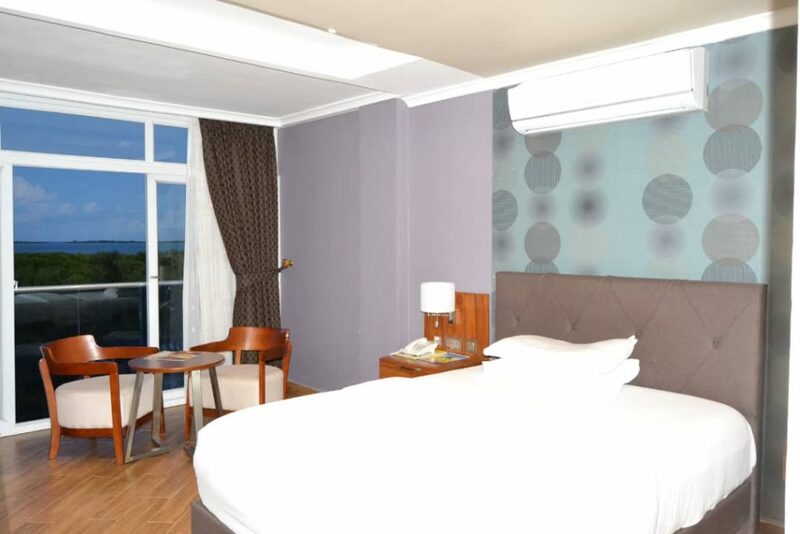 The room is really spacious and has a very ‘homely” feel to it. The bed will call out to you at first sight, asking you to gently lie on it and forget all my worries-that’s what it did to me. 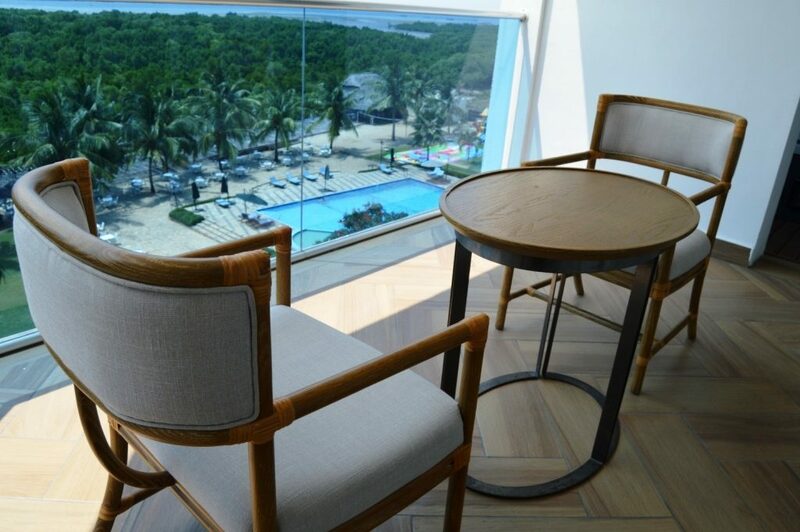 I also really liked the great view of the blue sky’s and the Indian Ocean in the yonder that one can enjoy from the vantage point of their bed or balcony. Top that up with a fridge, vanity/ refreshments table and a tv to enhance the “chamber” experience. If you thought I was done, nope, the room then has a balcony that overlooks a beautiful swimming pool below, as well as the mangroves, a boardwalk to the Indian ocean and the Indian Ocean in the yonder. Talk about living life with great views. Then we move to the bathroom or should I call it the comfort station because “bathroom” would not do it any justice. 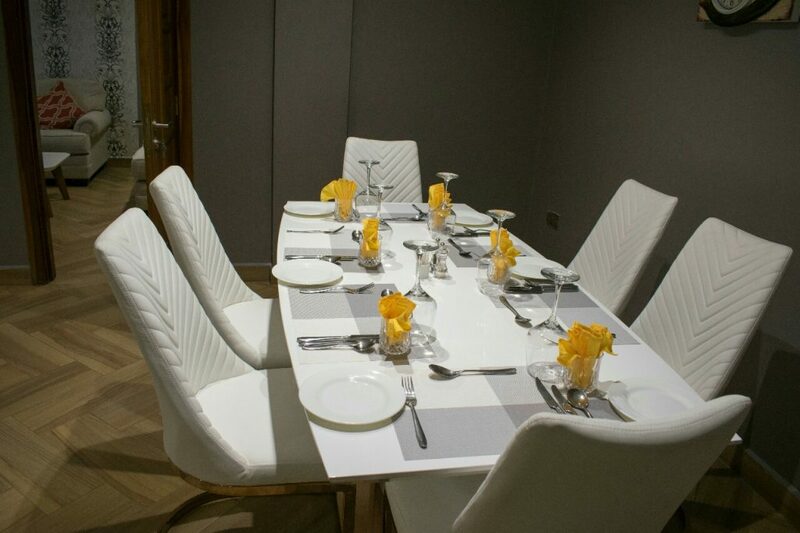 The comfort room is really spacious and takes the trophy on going the extra step to ensure client satisfaction. 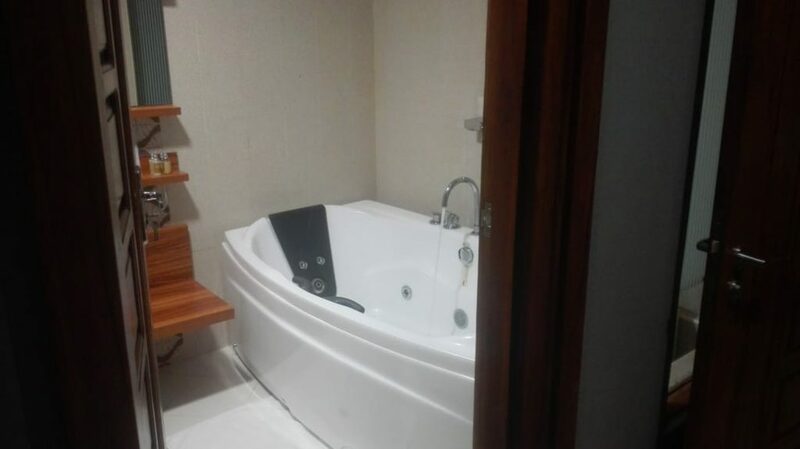 The room has a private Jacuzzi -scream. 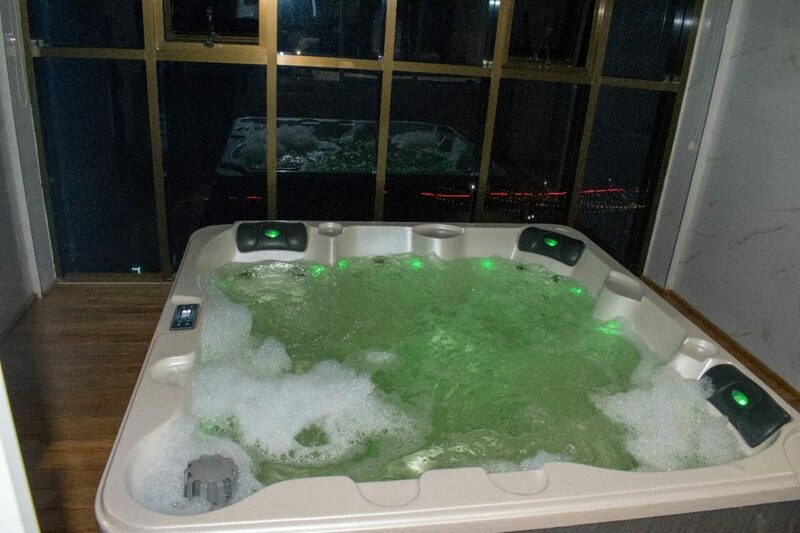 Lets just say, the Jacuzzi and I soon became very good friends. The vanity area is also very spacious and consists of a toilet, beautiful sink area and a glass covered shower area. Their vanity gift bag had sweet smelling shower gel, shampoo, lotion, shavers, tooth brush and paste among others, so no worries ladies and gentlemen, they have thought of everything. . 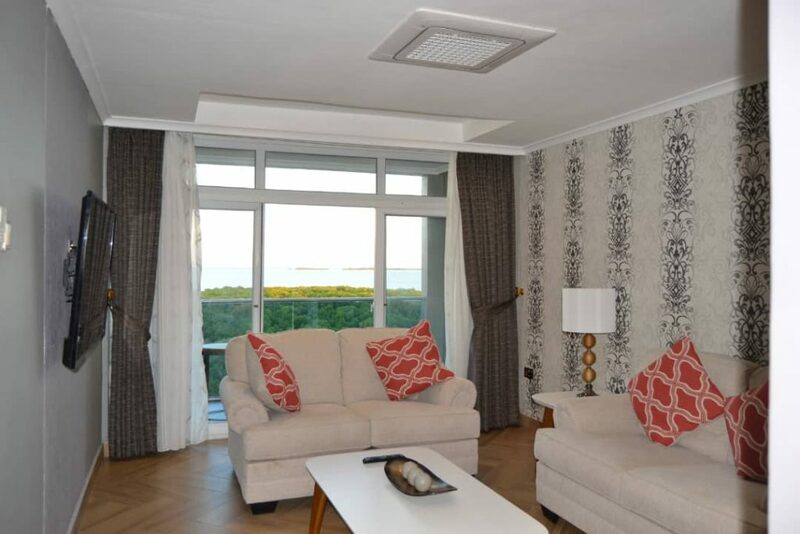 This general layout is also replicated in the Executive suites, just that theirs are bigger 🙂 *the view from the balcony also differs from room to room. 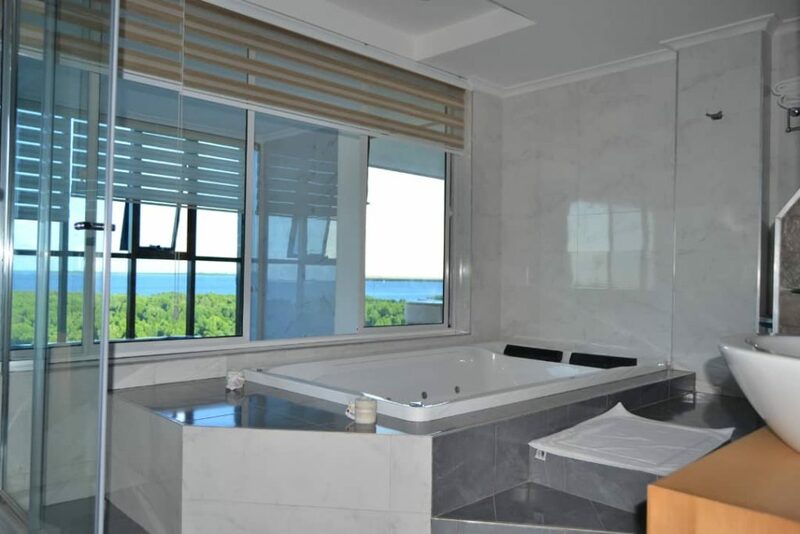 A sneak peak of the Jacuzzi in the room–Isn’t it just enticing? 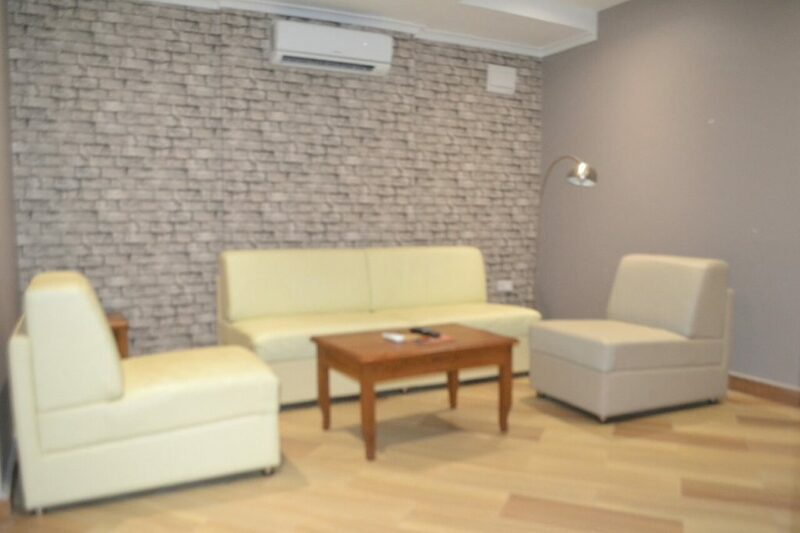 Last but not least is the lounge area in the “fully furnished one bedroom home”, which has leather couches, a table, a TV thus making the home have two tv’s and a washroom. This area is located near the door thus allowing one to host guests without them having to use ones private “comfort room” or pass by the “bedroom chambers.” I was thoroughly impressed by my home and felt truly pampered. Next up is the Deluxe Room which though the cheapest and smallest in their range of accommodation options, was surprisingly also quite spacious. 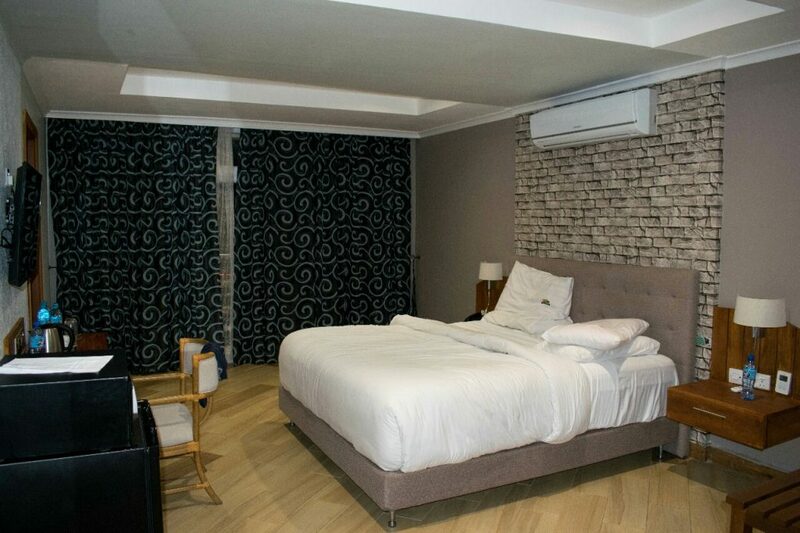 The rooms also have flat screen tvs and a mini sitting area to relax either alone or with a guest with some even having a balcony. 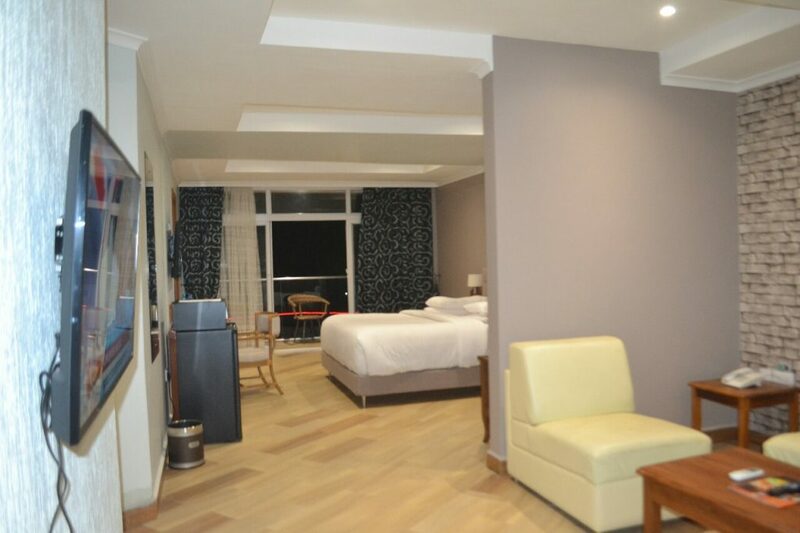 The Presidential suite is a beauty to behold with two fully furnished lounge areas, a beautiful laid out dinning area for 6, a mini kitchen, an indoor and outdoor jacuzzi, a balcony overlooking the swimming pool, boardwalk and Indian Ocean as well as a mini “office space”. It is huge with lots of privacy attached to it and extra perks like complimentary designated butler, pick up and drop off, a fully stocked fridge among others. They have a huge swimming pool whose clean clear waters sparkled, enticing all for a dip. It was great noting that they also had a not so small pool for children to enjoy themselves. The pool is super clean and seems to be friends with the sun, which continued to shine brightly on it all day. Now, it would be a crime to have visited the Tanga Beach resort and Spa, and not try out the spa. 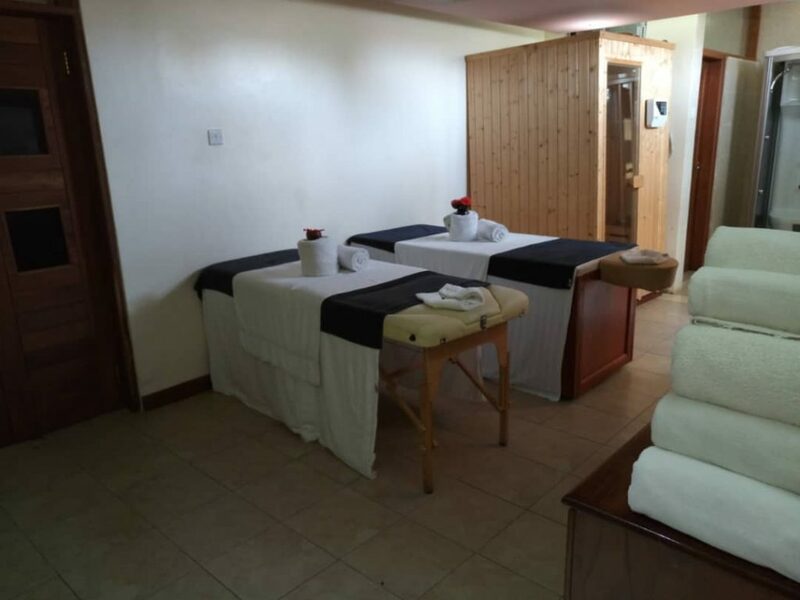 Kindly note, as a guest at the hotel, one has free access to the gym, steam bath and sauna. I opted to sample a massage to relax my muscles after having explored Tanga area and confirm that the massages are really good and pocket friendly. Next time, I plan to stay a bit longer and thus get to enjoy all the spa offerings. They have three restaurants with my favourite being the outdoor restaurant as we got to stargaze as we ate dinner, and enjoyed the the cool breeze at all times. Their food I can confirm, is really good with my favourite being the grilled chicken with mash potato and the Red Snapper known as Changu. I would highly recommend that you sample the various local delicacies available and your tastebuds will thank you. They also have a spacious, really nice lounge aka bar that not only played great music, but had pocket friendly drinks. Thus, you can enjoy a night out without having to leave the property. Last but indeed not the least, are the amazing staff . 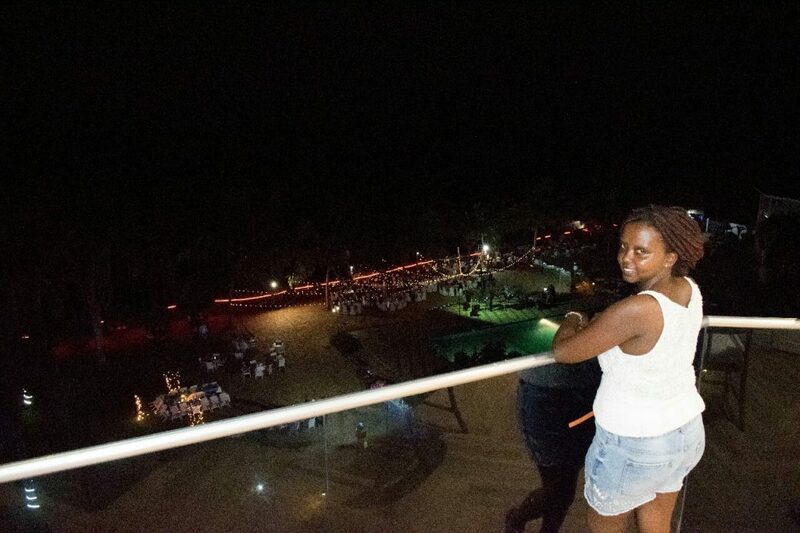 The staff at Tanga Beach Resort and Spa showcased what hospitality and genuine smiles are all about. Wherever you met them whether in the restaurant, at the reception or even in the lift, they would have a genuine smile, say hello and enquire if one was in need of anything. They say a leader is one who leads by example and seeing Joseph the GM and Firoz the Sales Manager interacting with people, it was easy to understand why the customer service at the Resort was excellent. 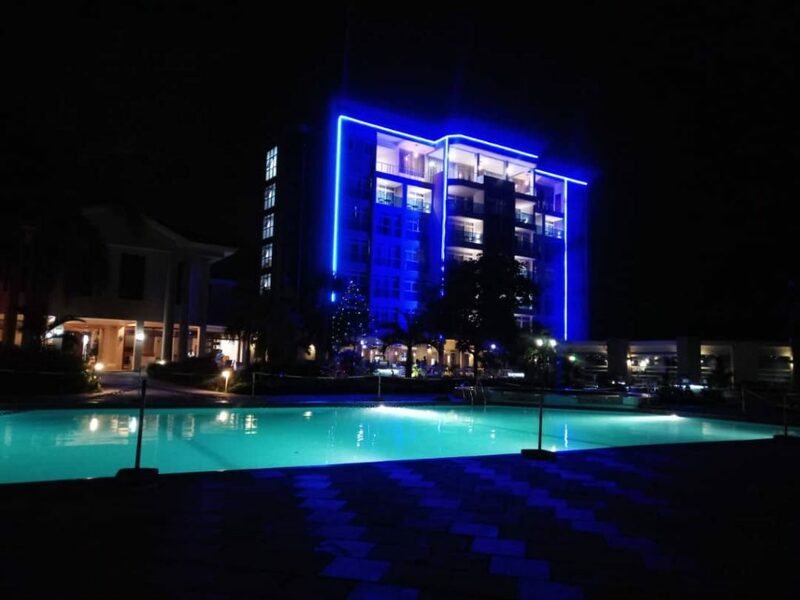 Indeed, Tanga would not be complete without exploring it a bit, which we did thanks to Tanga beach Resort and Mr. Mwinyi Bwaka aka Mr.Happiness of Tanga Wonders Adventures. 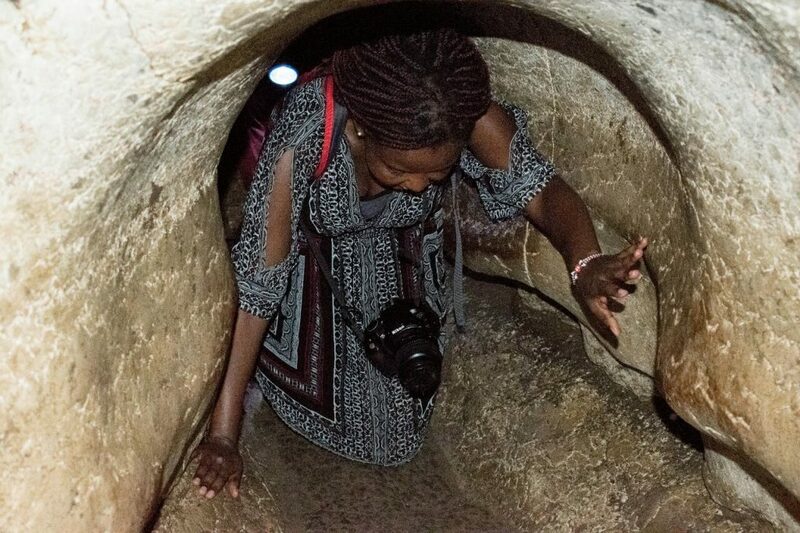 More on this will be shared on subsequent post but be rest assured, it was super exciting and involved everything from crawling in caves to taking a dip in “healing” waters. 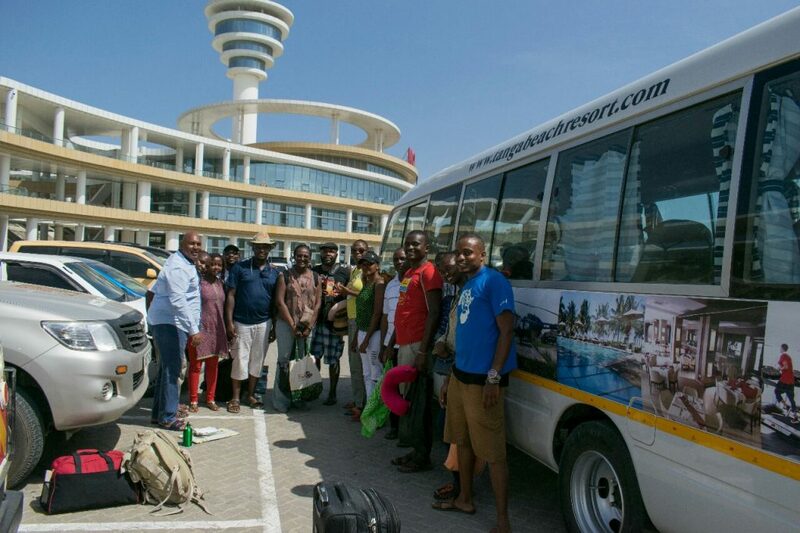 There are also buses from Mombasa to Tanga you can opt for. Kindly remember to carry your passport and yellow fever card as you will be crossing the border into Tanga, Tanzania.